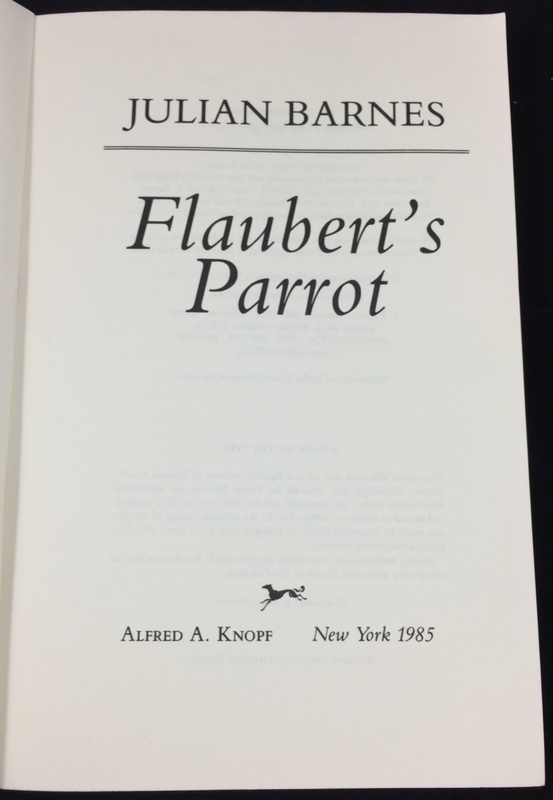 Notes about this edition: Flaubert’s Parrot. 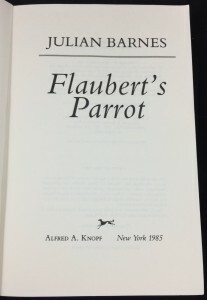 New York: Alfred A. Knopf, 1985. Pp. 190. 21.2 x 14 cm. Paperbound with setting and cover illustration as in the first U.S. hardback edition. 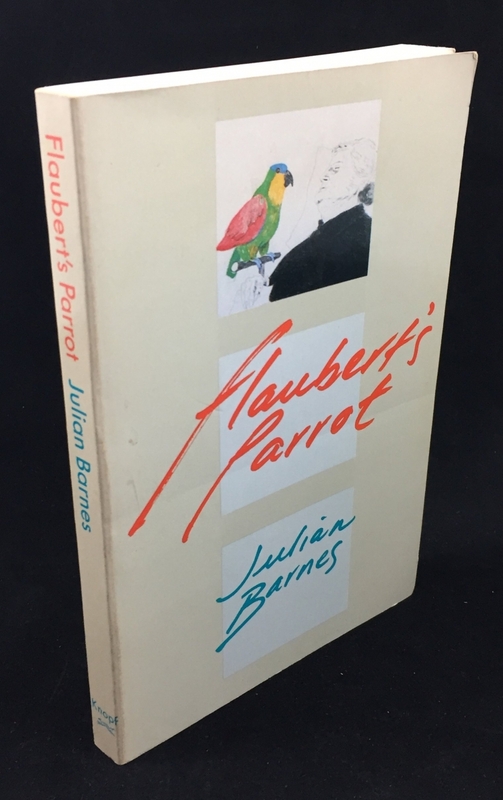 This paperback edition of Julian Barnes’s Flaubert’s Parrot appears nearly identical to the first edition hardback published by Alfred A. Knopf in 1985. 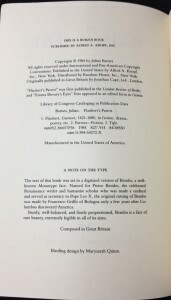 The title pages the copyright pages are identical, except that this paperback edition does not state “First American Edition” and does not include information about where the book was printed, as in the hardback edition. 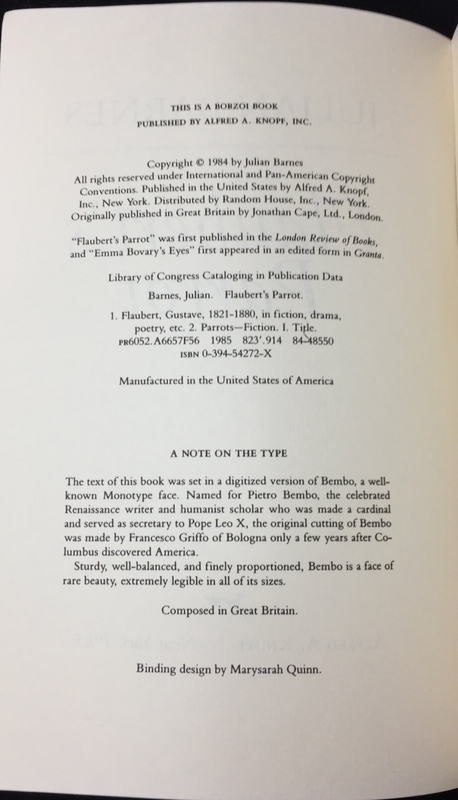 The ISBN listed on the copyright page is for the hardback edition. 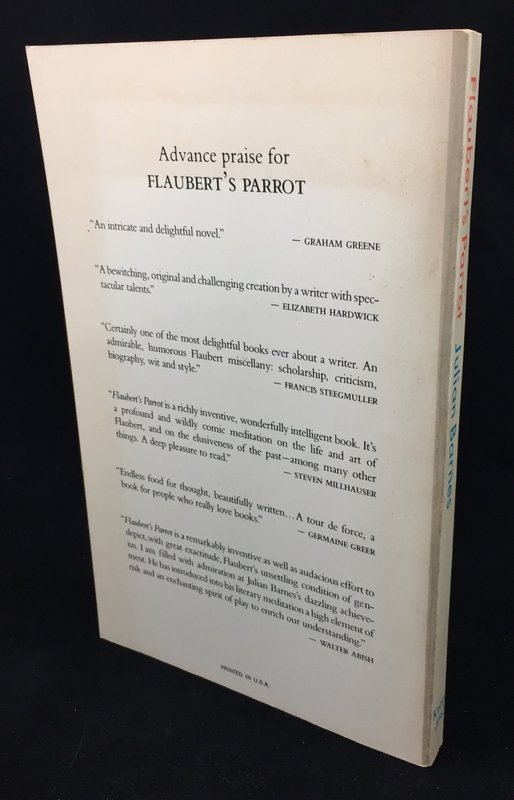 This paperback edition contains no marking indicating it is an American book club edition, but this is a likely explanation.